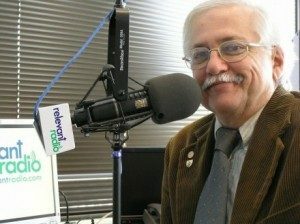 Paul Sadek is network producer and operations manager for Relevant Radio, assisting with the oversight of Relevant Radio stations in Minneapolis, Eau Claire, and La Crosse—along with local and network production, and on-air hosting of local programs. He joined the Relevant Radio team in 2003. Prior to Relevant Radio, he worked in various capacities at radio and television stations in Minnesota, Iowa, and South Dakota. Paul is an adult convert to the Catholic faith, received into full communion by profession of faith in 1978.